The Royal Malaysia Police Headquarters (GPS: 3.14796, 101.68792), or Ibu Pejabat Polis Bukit Aman is located at Bukit Aman in Kuala Lumpur. 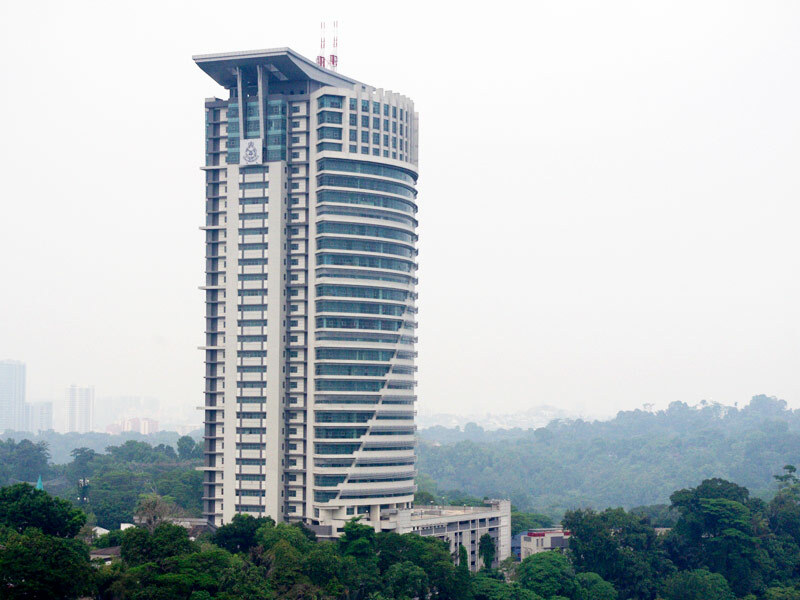 The name Bukit Aman means "peace hill", and this name is often used as a metonym for the Royal Malaysia Police Headquarters. The most visible presence of the police headquarters is the high-rise Tower 2 at Bukit Aman, which can be seen from Dataran Merdeka. The hill on which the Royal Malaysian Police headquarters are located was originally called Bluff Road Hill. It was the site of the Selangor Police Troop headquarters. During the onset of the Second World War, it was where the British mounted a defense against the Japanese. The present name of Bukit Aman was declared on 25 March 1975.